I’ve long admired Crave Jewelry. Actually, her shop on Etsy was my first introduction to the site. Her designs are fun, whimsical and a little edgy. 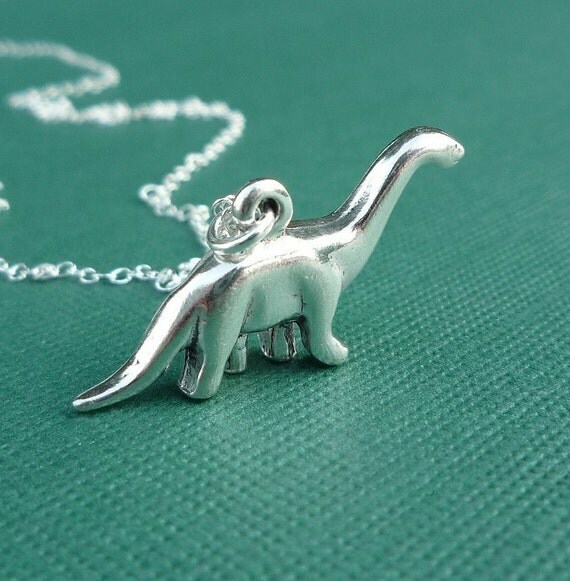 For example, take a look at this little sterling silver brontosaurus necklace. I want him. To see more Crave Jewelry, visit her Etsy shop: Crave Jewelry Design. Crave Jewelry Designs is also on Facebook! UPDATED: Coincidently, Crave has a deal today on Heartsy. $18 for $42 Online Store Credit.